Alex is an associate in the Civil Litigation practice based in Wiedner & McAuliffe’s St. Louis office. Alex represents clients across a broad range of industries. His litigation practice covers catastrophic loss, commercial disputes, managed care, medical malpractice, nursing home care, and personal injury and property damage. An experienced litigator, Alex appears regularly in state and Federal courts. He also has appellate experience and argued in front of the United States Court of Appeals for the Seventh Circuit. 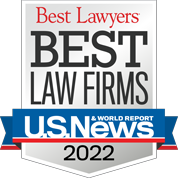 Alex has been named a “Rising Star” by Super Lawyers since 2016. Alex is a member of the American Cancer Society Associate Board of Ambassadors. He is serving as Co-Chair for the Associate Board of Ambassadors’ “Imagine: A World Without Cancer” 2019 event.